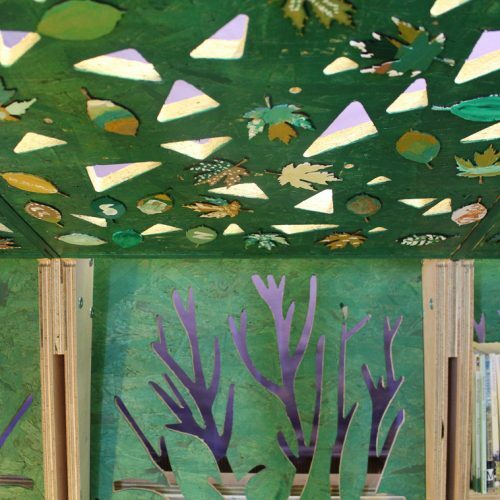 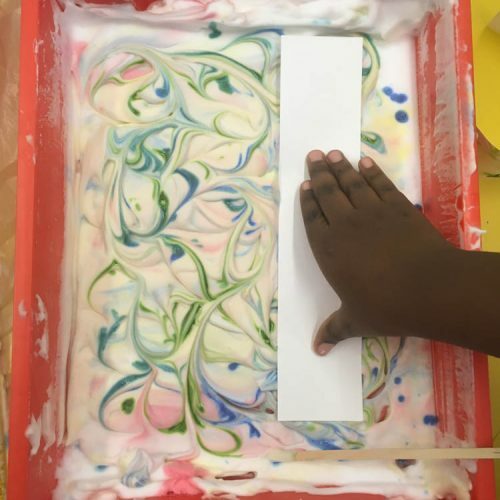 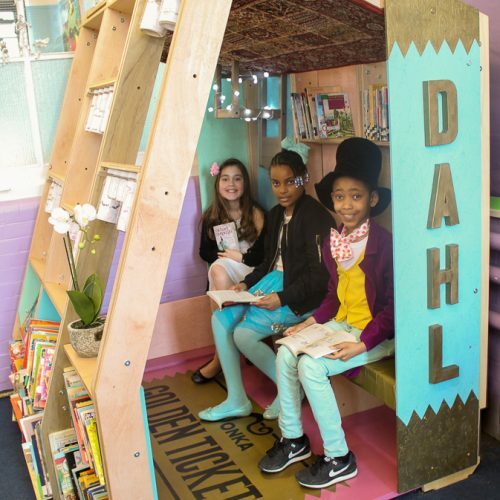 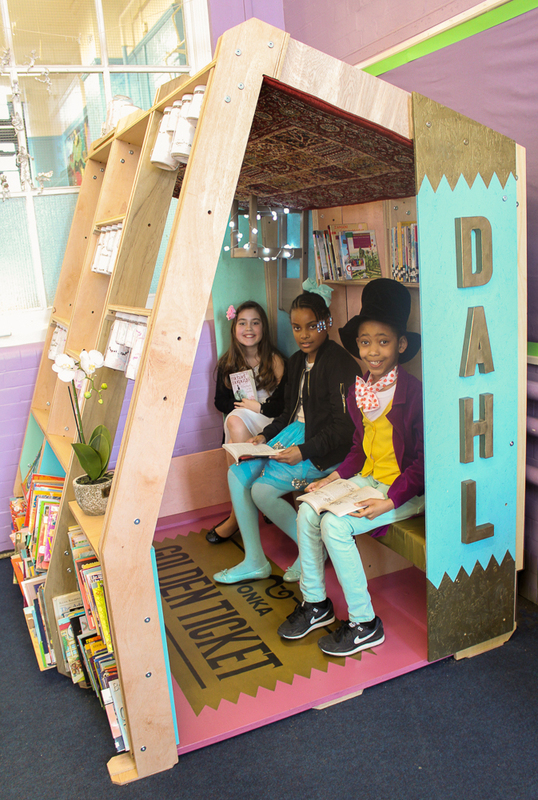 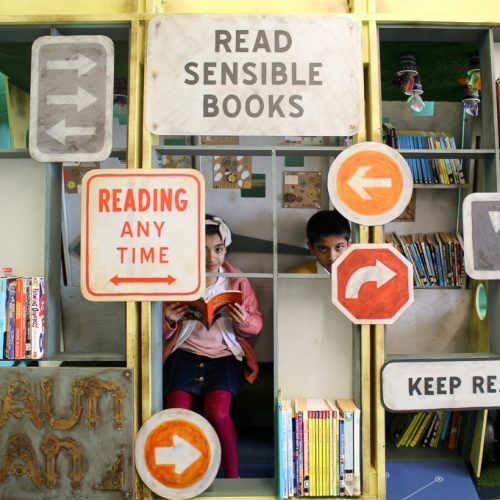 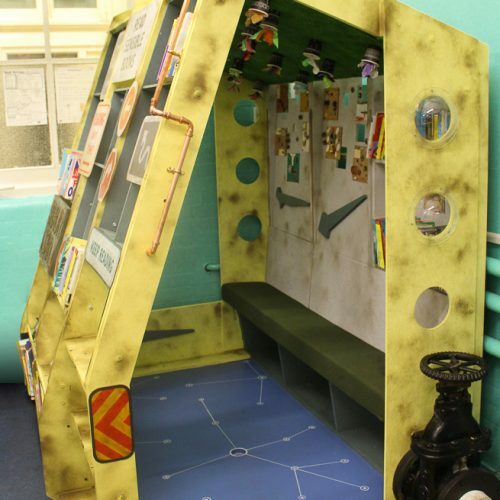 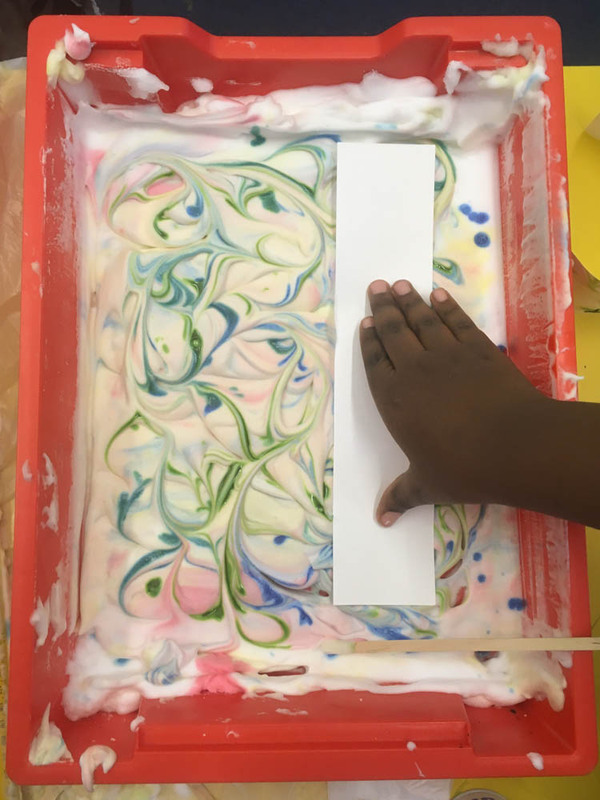 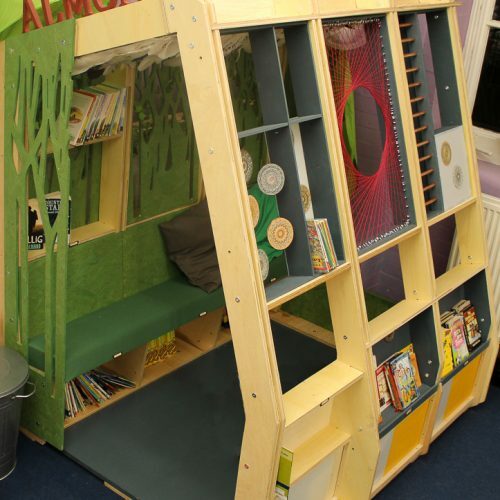 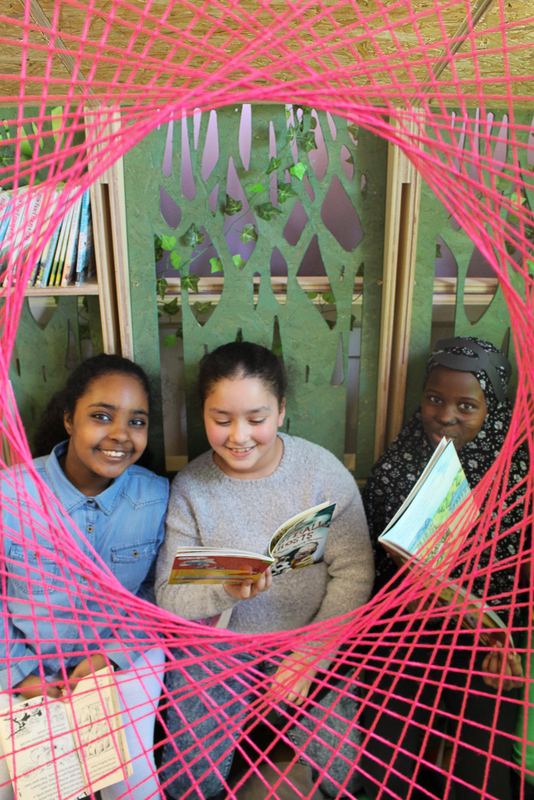 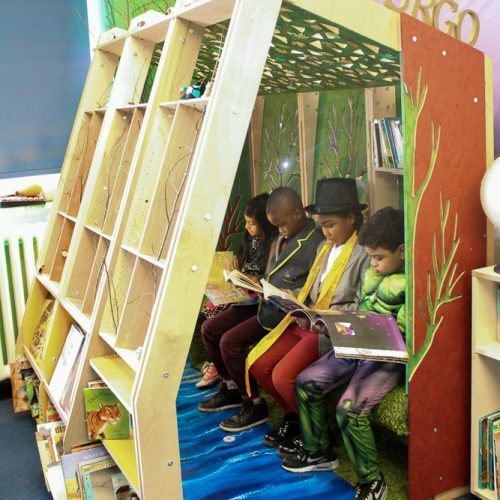 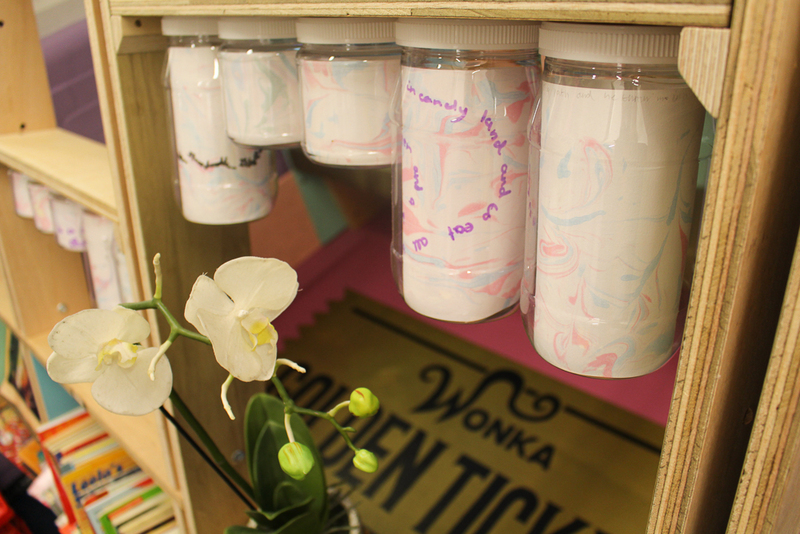 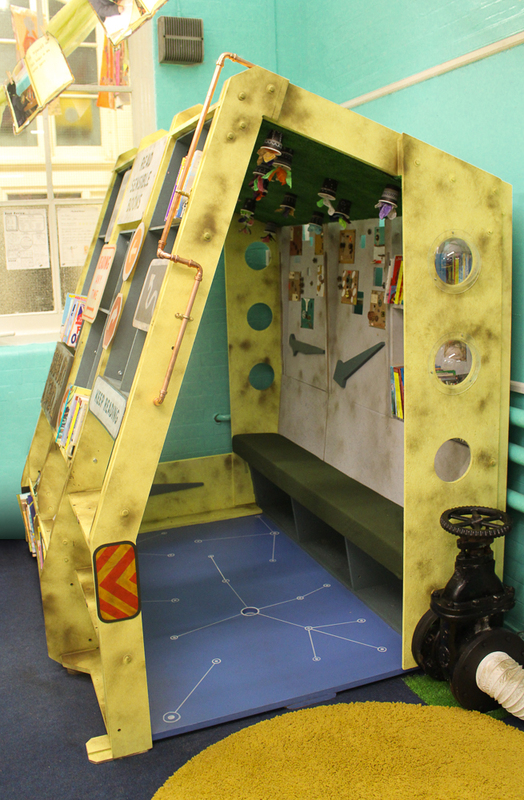 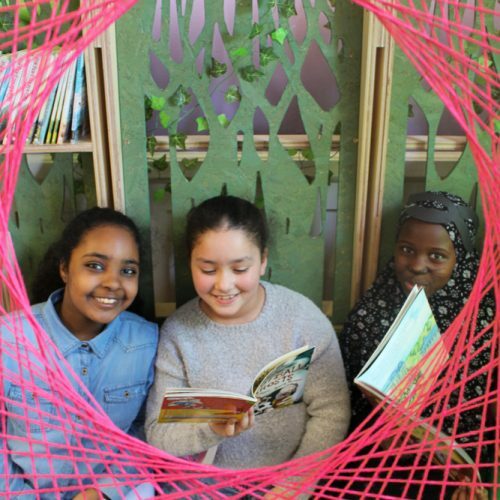 We were commissioned by Bow Arts, on behalf of Shoreditch Park Primary School, to co-design bespoke reading corners in 4 different KS2 classrooms. 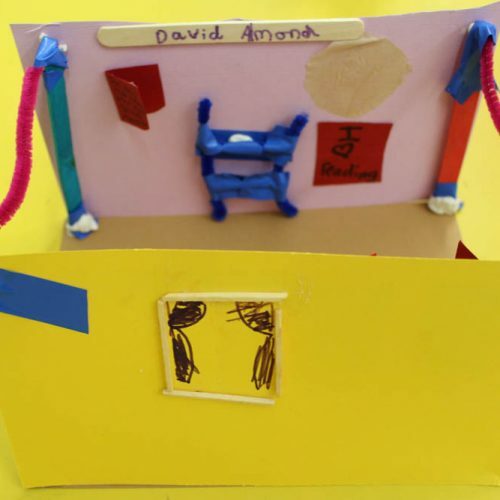 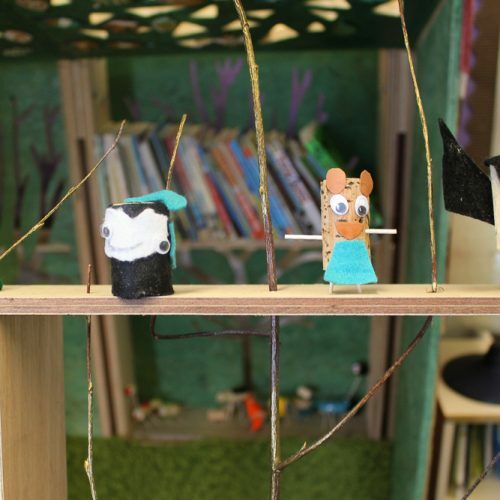 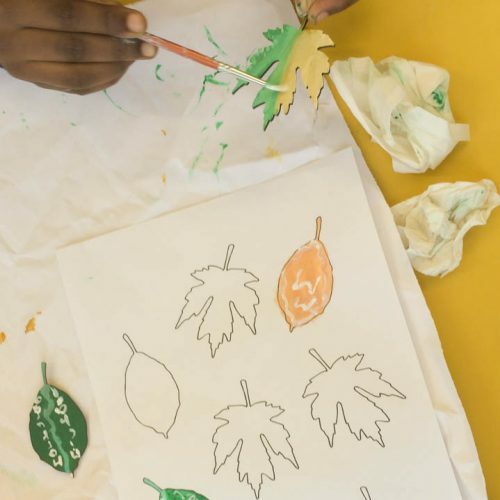 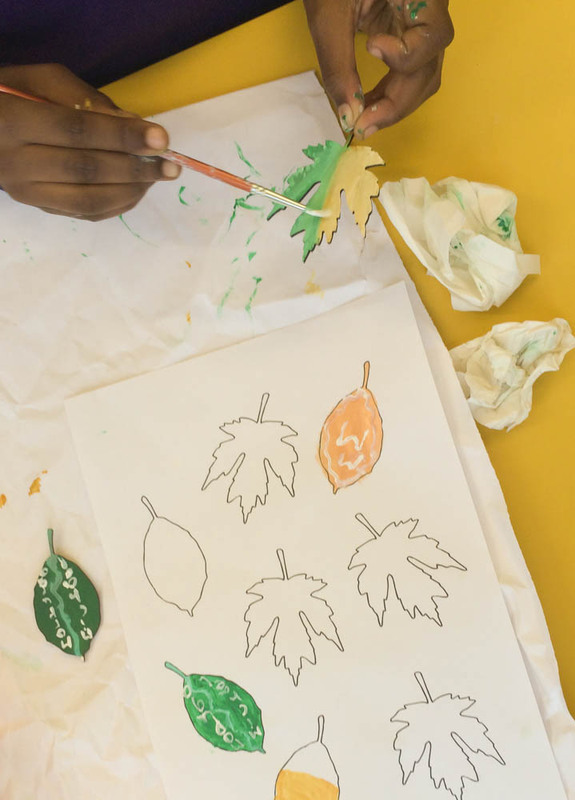 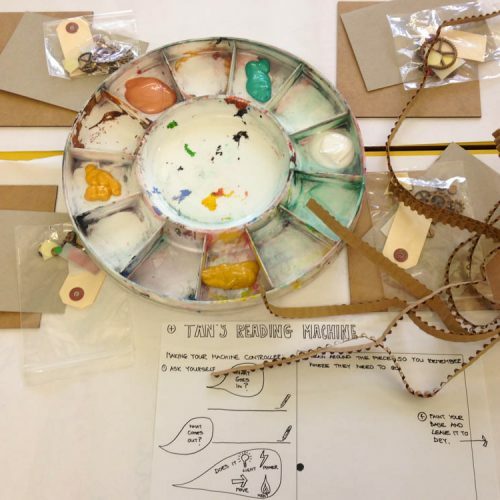 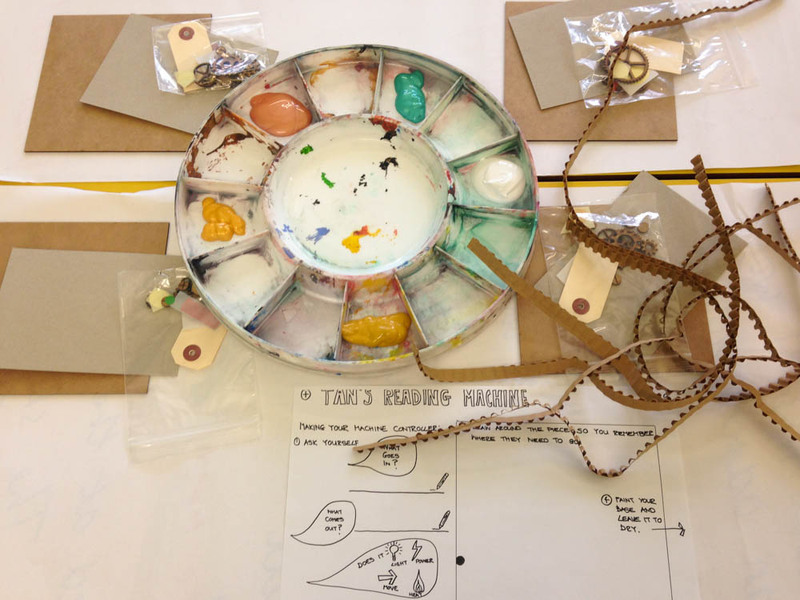 We carried out four workshops in each class to develop concepts, and create elements that linked with their class authors: David Almond, Michael Morpurgo, Shaun Tann and Roald Dahl. 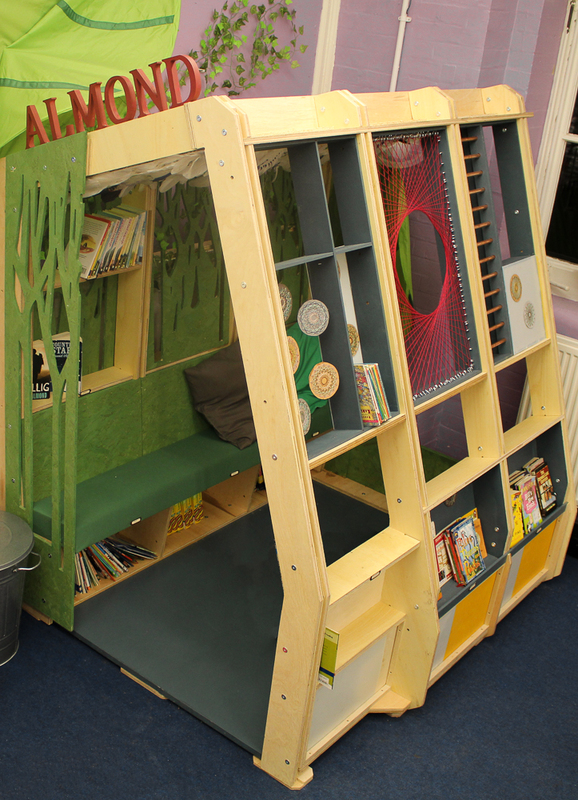 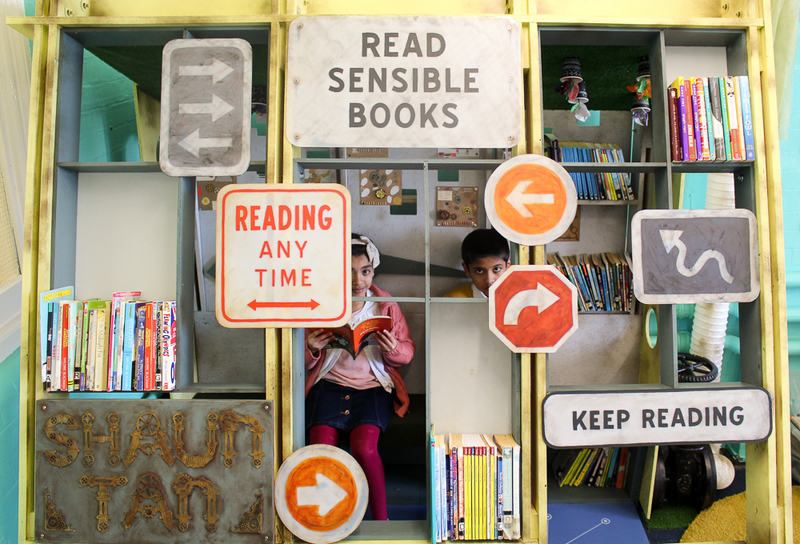 We then designed and installing four distinct, immersive reading hubs in the school. 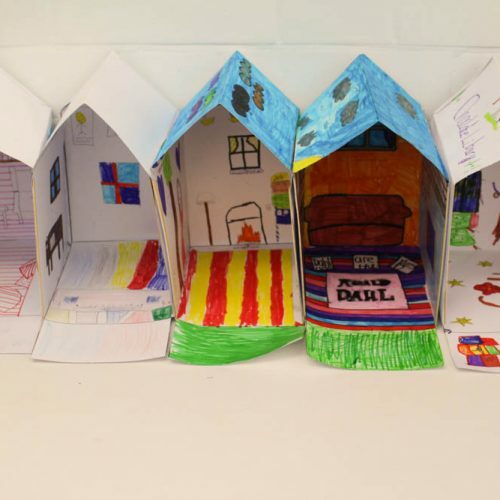 For more information on this project check out our blog post. 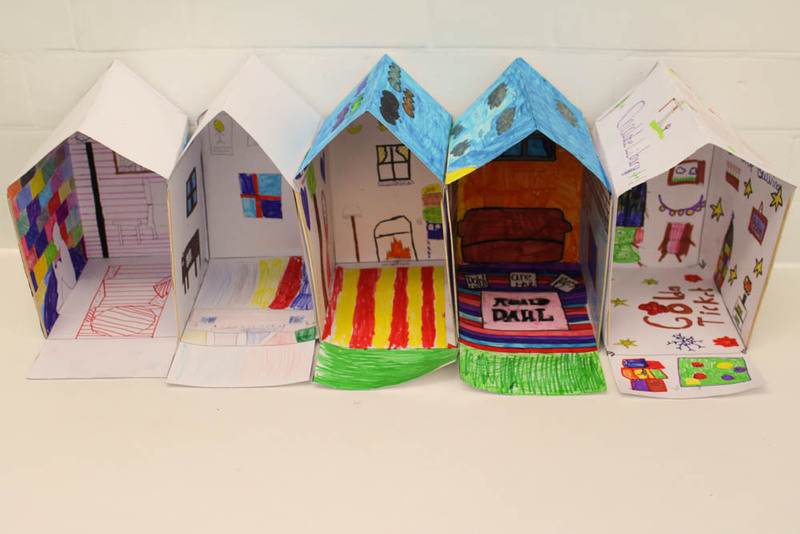 Workshop 1: Using the idea of a ‘writers shed’ as a starting point, the pupils worked in groups to design their own ‘reading sheds.’ They used ideas from discussions about what they love about reading, their favourite places to read and themes from their class Authors’ work to decorate two dimensional panels of a flat pack shed template. 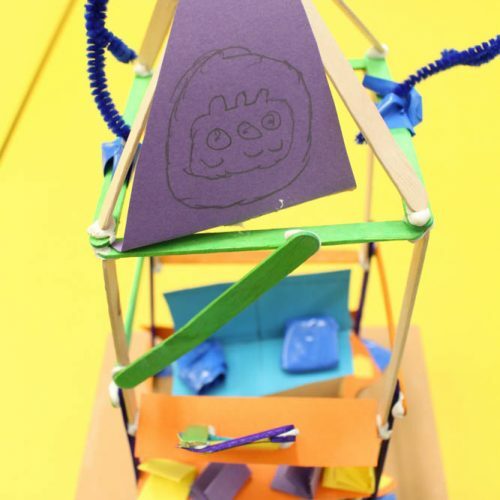 Workshop 2: We returned with an abundance of model making equipment to encourage the students to think about how they could develop different shapes for the structure working in three dimensions. 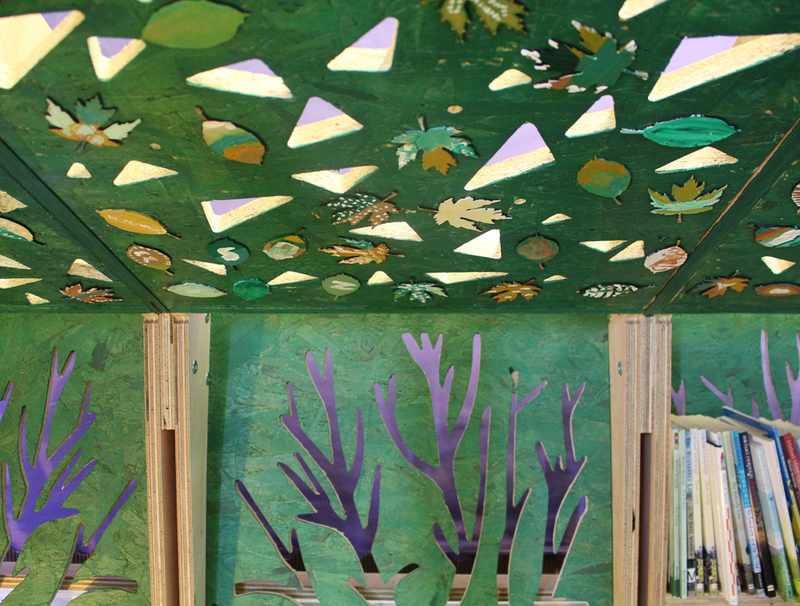 Workshop 3: In the interim we developed a structural design and concepts for each reading room. 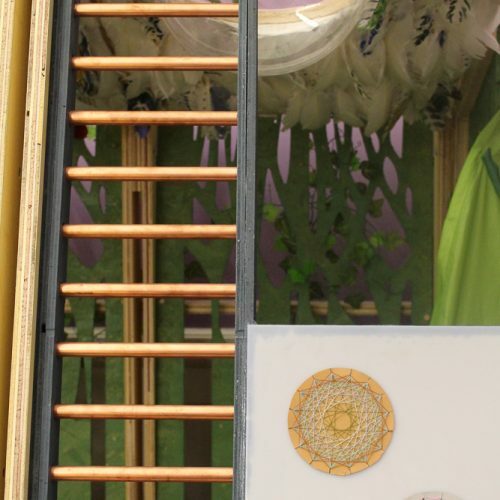 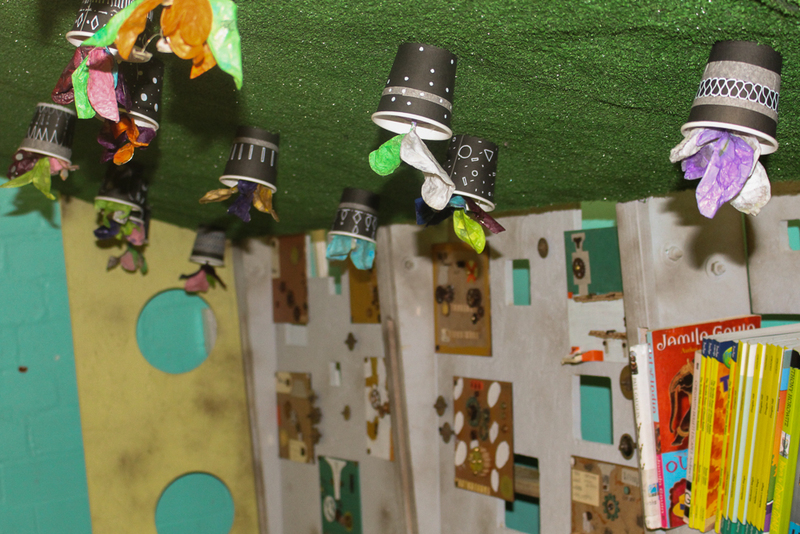 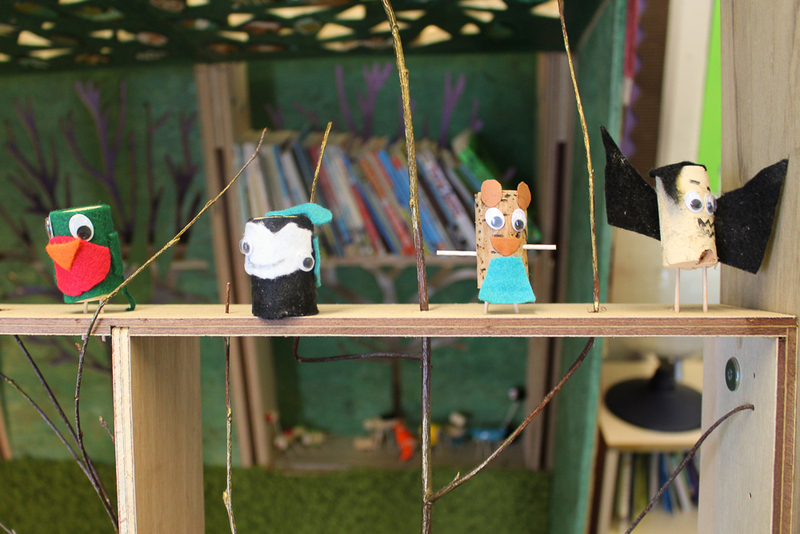 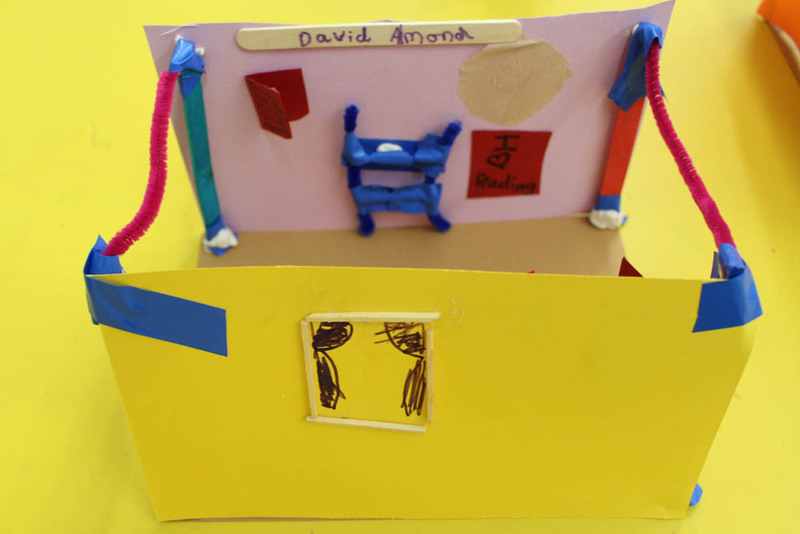 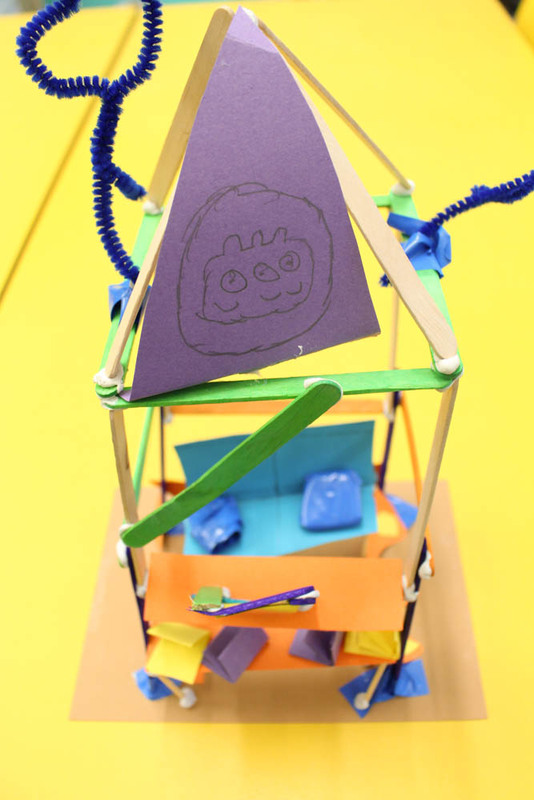 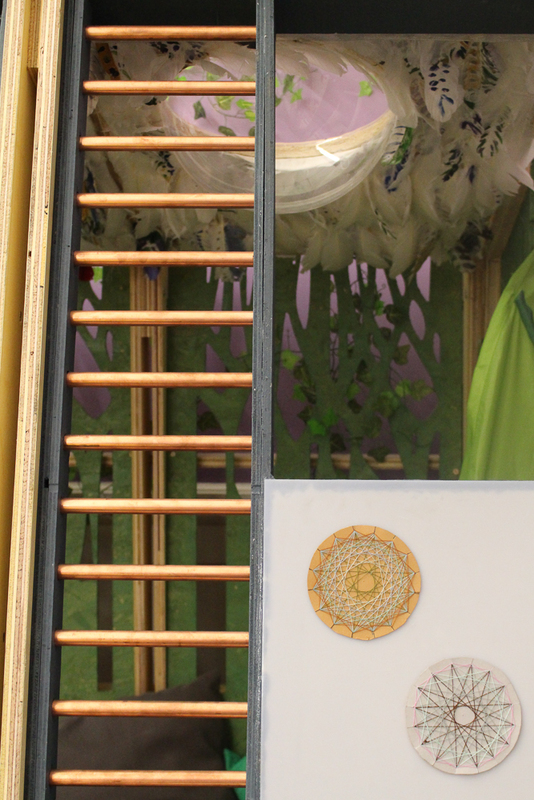 Each class made a number of physical detail elements which were incorporated into the final structures. 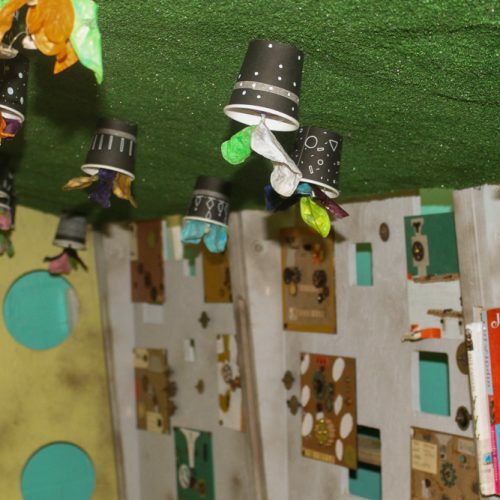 Installation: During half term, we installed and decorated the structures, wrapping them up so the children wouldn’t see until we came back for the final workshop. 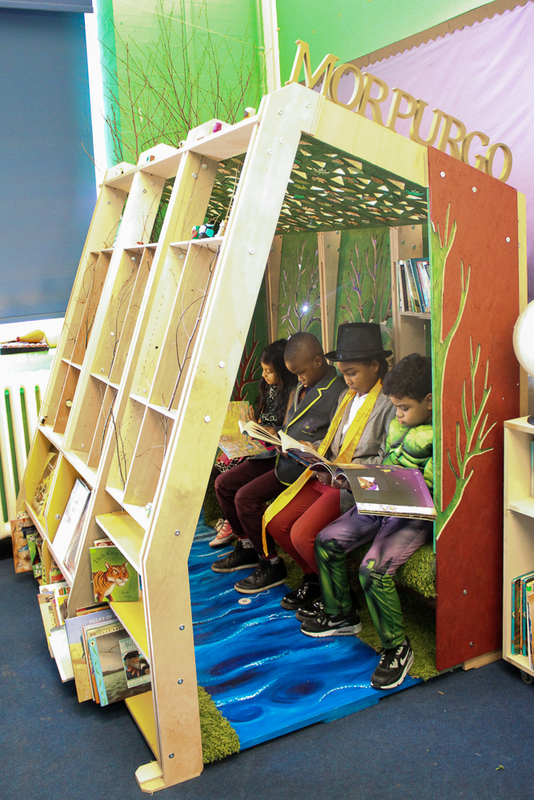 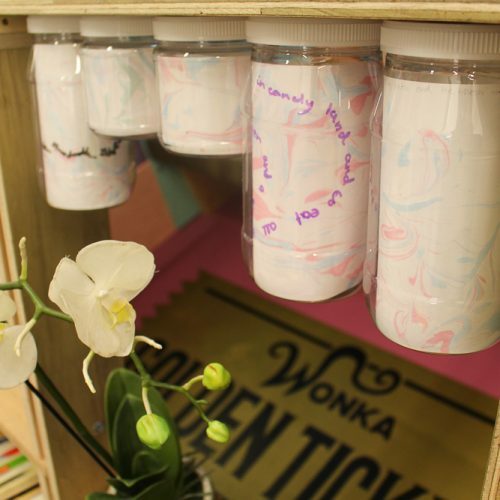 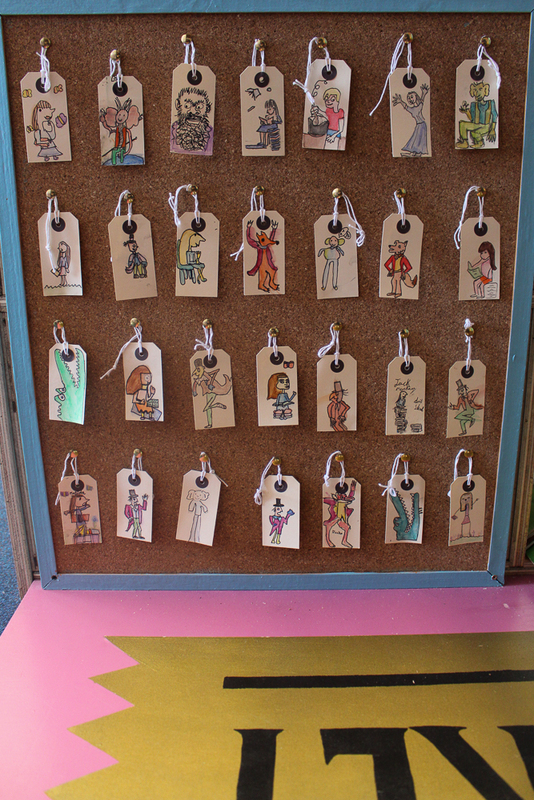 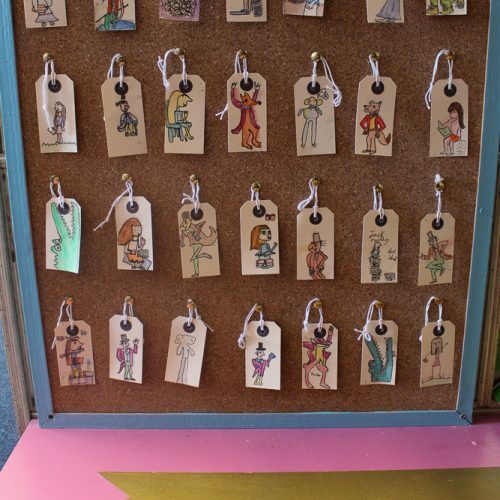 Workshop 4: The pupils in each class produced a second set of elements to decorate the reading rooms which were unveiled for them to use on world book day.